Our recent institutional partner World Resources Institute (WRI Brazil) has truly embraced our Mapping Project beyond our expectations. 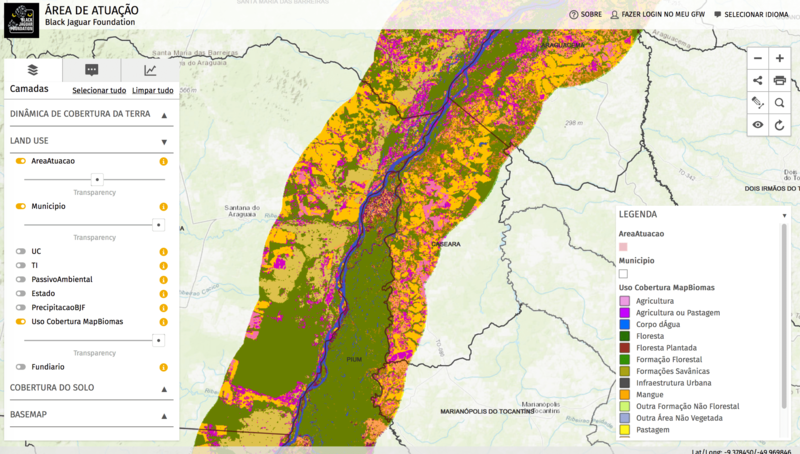 WRI Brazil recently decided to step up its support to the BJF by building an online platform to map the entire 10,4 millions hectares of the Araguaia Corridor. Over 70% of the Corridor has already been mapped by their team of experts. First results show that this new online mapping-platform will truly become a pillar for future success in planning the entire the Corridor. In the coming months the online platform will be fine tuned as per the requirements of BJF by the mapping-experts of WRI Brazil in close partnership with BJF Brazil. 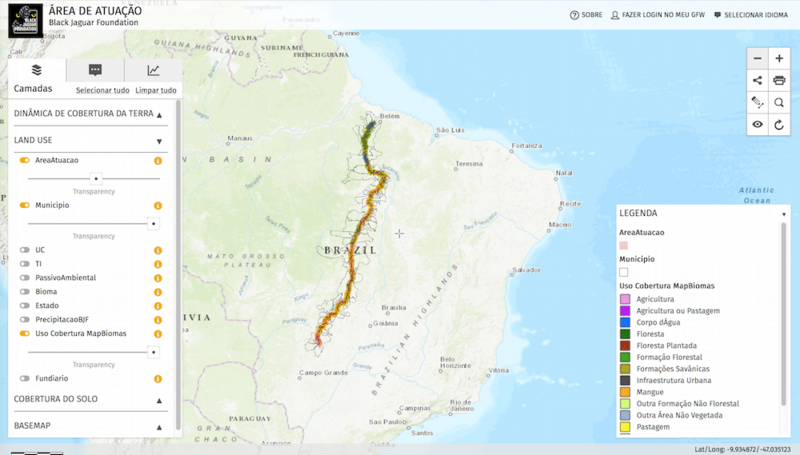 The amount of data from satellites and governmental organisations and key research laboratories brought together by WRI Brazil in the online Araguaia Corridor Mapping Platform is truly amazing. It will help BJF tremendously by setting the strategy for implementing BJF’s other 2 tasks for the Araguaia Corridor for the years to come. WRI’s state of the resources allow decision-makers to explore environmental challenges, opportunities, and solutions. Thank you WRI Brazil for your vital support!